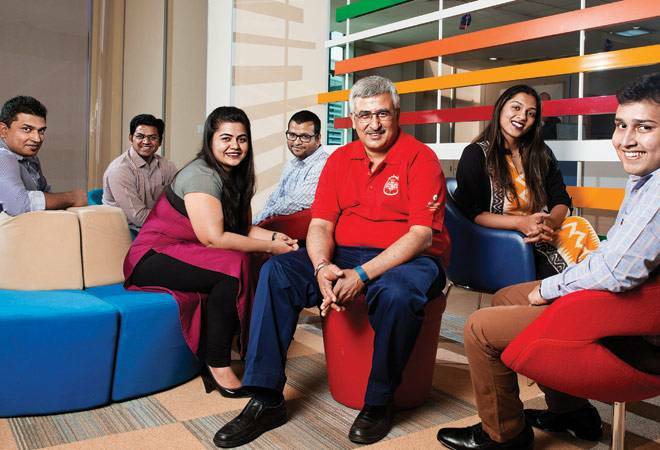 RIL has adopted an open office culture to provide a supportive environment to its employees. In 2009, Reliance Industries (RIL) chairman Mukesh Ambani patted his employees on the back. They had built a splendid 'House of Reliance' over the past three decades, he emphasised. But Ambani was now looking ahead and wanted to future proof the company, at least for the next three decades, not through repainting and replacing the old furniture with new but by adopting a new work ethic. So, the RIL team decided to build a 'New house of Reliance'. With this in mind, the largest private oil refiner in the country framed the Reliance Management System (RMS), which is broken up into three - Operation Management System (OMS), Finance MS and People MS. The emphasis on people has been aligned to the vision of founder Dhirubhai Ambani: "Give the youth proper environment, motivate them and extend them support. Each one has infinite source of energy, they will deliver". RIL has recently adopted an open office culture for creating a vibrant workplace. "It is about working collectively based on the requirement," says Ashwani Prashara, Head of HR and IR - Group Manufacturing Services. As work progresses at Jio, Ambani, his children Isha and Akash and his confidante Manoj Modi, have joined the open office in the palatial corporate office at Reliance Corporate Park (RCP) in Navi Mumbai. Anybody in the company can write to the chairman directly and can expect his response in a day's time, says Prashara. Internally, RIL has been running a career acceleration programme. It also started step-up programmes for grooming talent, including giving exposure to people in the senior leadership. The chairman mentors a group of executives on rotation basis. The `3 lakh crore company has 2 lakh employees, including 60,000 recently recruited for Jio. Training is a thrust area for RIL. It created a virtual university and a few academies under it for advanced learning of employees. "In the manufacturing academy, we offer courses like electrical, mechanical and instrumentation. We also have academies for finance, IT and petrochemicals," says Prashara. Clearly, RIL is betting big on its people.